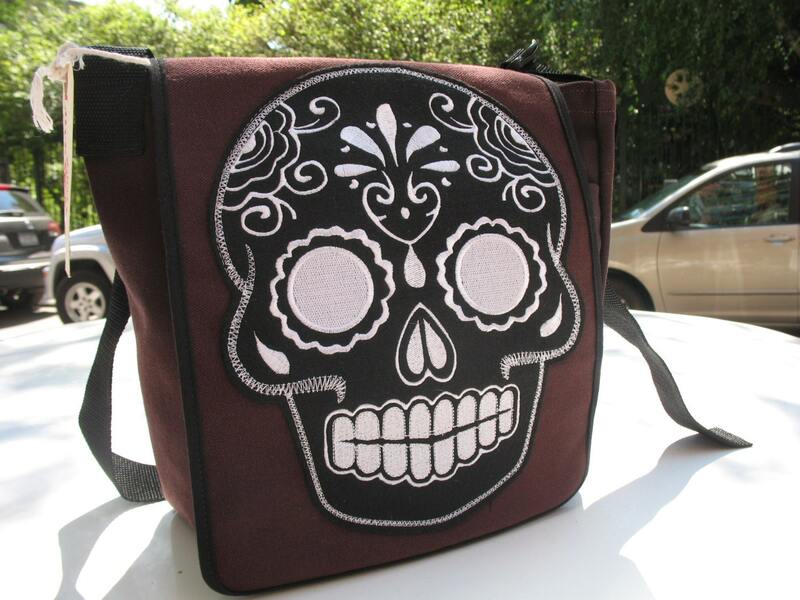 Heavy duty water repellent canvas courier bag with sugar skull appliquéd grey on black patch . Hand made by Love Shine in NYC. Inside and outside pocket and adjustable webbing strap. This bag is perfect for your books, lunch and camera. Lightweight and sturdy. Great for bike riding, hiking and traveling.